Don’t let anyone apart from trained physicians tell you that laughter is the best medicine. Frequently anti-biotics are better suited to deal with the problem. However, it’s certainly true that life is better with laughs, so in the first of an occassional series today we’re looking at some of our favourite comedy films adapted from the small screen. On the list, we’ve got The Blues Brothers, Wayne’s World, I, Spy, Starsky and Hutch, The Naked Gun, Brain Candy, Monty Python, Alpha Papa, and Ali G. There’s around about another hundred films we could talk about, but most of them are underwhelming or not even close to whelming, so we’re skipping them. 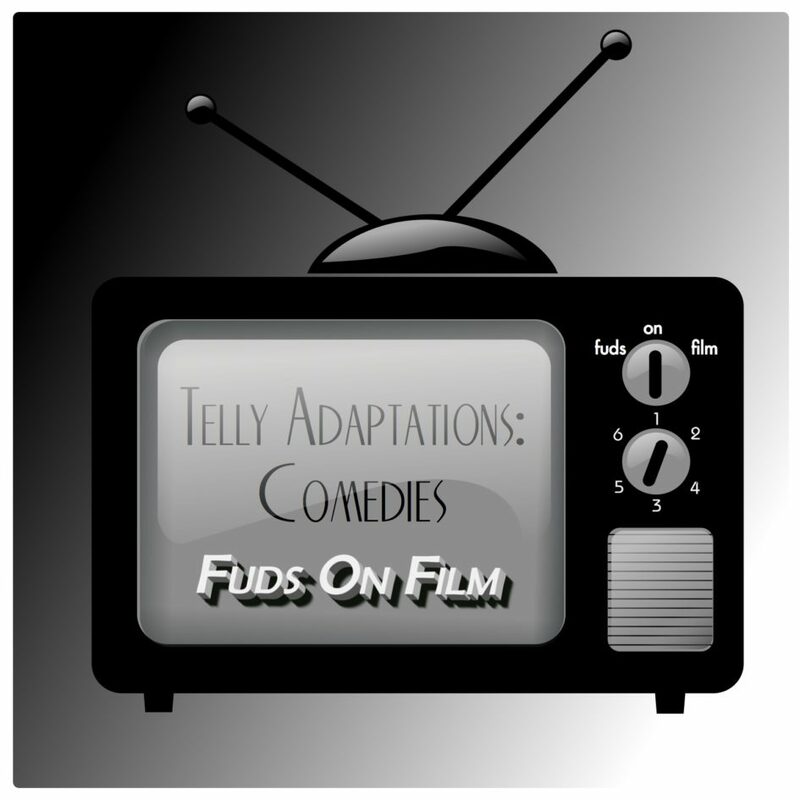 There’s a whole podcast to be had from adaptations of Saturday Night Live sketches, but not one that would have a whole lot of funny films covered. The best of them however has a good claim of being the best film we’ll cover today, John Landis’ cult classic The Blues Brothers, as Jake and Elwood Blues undertake a mission from God, get the band back together, save the orphanage and wreck so, so many cars in the process. Dan Ackroyd and John Belushi may never have been funnier, and the collected talent on the soundtrack beggars belief. How this didn’t find an audience on release is a continual source of puzzlement to me. A must see. The other gem to come out of the SNL incubator, Wayne’s World takes the basement broadcasting buddies and thrusts them into a huge network deal, with the troubles that increased exposure and corporate overlords bring. Mainly though, as with all of these films, the plot is just enough to drive us through a torrent of gags, and there’s a case for this being the most inventive and arch of Mike Myers’ films. A great deal of these moments saturated pop culture for a while and still resonate today, so if you’ve not seen it it’s very well worth catching up on. The was a brief rash of films in the early 2000’s based around taking long-gone comedy and drama franchises and adapting them almost out of all recognition, although it’s hard to be sure of that as being a Brit, I’d never heard of I, Spy anyway. Here we have Eddie Murphy as a talented, arrogant boxer, whose fight in Budapest is used as cover for Owen Wilson’s everyman spy to recover a stolen stealth fighter from Malcolm McDowell, aided by suave, for some reason Latin superspy Gary Cole and femme fatale Famke Janssen. We’d expected this not to have held up at all, but there’s an easy charm to the relationship between Murphy and Wilson along with some punchy sparring dialogue that makes I Spy an easy and rewarding watch. Higher name brand recognition with this Owen Wilson outing, teaming up with Ben Stiller as the buddy cop duo with Snoop Dog taking the role of streetwise informant Huggy Bear, trying to take down Vince Vaughn’s cocaine dealing villain. Coming in the middle of a run of daft Ben Stiller comedies, this surprised me on rewatch by being a shade funnier than I remembered. If you’re no fan of the style Stiller developed, this is not going to convert you, but it’s a solid outing all round. Based on the Zucker Brothers and Jim Abrahams’ exceedingly superb Police Squad series, with Leslie Nielsen’s deadpan, inept cop Frank Drebin taking on evildo-ers with the power of slapstick and some of the daftest gags committed to celluloid. While it’s surely not to everyone’s taste, there’s perhaps nothing I love more than the joyous silliness of this series, and most of the other ZAZ outings. We heart this bigly. The Kids In The Hall team’s big screen outing features the occassional cameo from their excellent sketch show, but largely plows its own furrow spinning a yarn about a new wonderdrug antidepressant. The creators are proud of the positive effects it seems to be having on society, until the corners cut in the testing phase comes back to haunt them. It’s surrealist sketch show roots show through, so if it’s a compelling narrative you’re after this might not be the best option, but the – eurgh – quicky characters and dialogue very much tickles our fancy and it’s well worth seeking out, particularly for the Pythonistas amongst us. Speak of the devil. Four Python films to pick from, but their first outing And Now for Something Completely Different _ is a straight reshoot of some classic sketches from the TV show, and _Meaning of Life is a loosely themed collection of sketches. Nothing wrong with that, but their longer form Quest for the Holy Grail and Life of Brian are their real masterpieces. You can argue about which of these is better – Life of Brian‘s riotous analogue to the Christ story is most commonly held in higher esteem, but the madness of the Knights of the Round Table spoof Quest for the Holy Grail is just as funny – perhaps funnier, but with Life of Brian having more meaning to it. Still, you can’t go wrong with either. Strangely, we’d though Steeve Coogan’s character the weakest link in Chris Morris’ The Day Today, and hadn’t followed his career of cringe all that closely in the interim between then and the feature film outing, which sees the onetime TV chatshow host reduced to local radio, and being somewhat bitter about it. Not bitter enough not to want to hang on to his job for grim life once the station is aquired and rebranded, selling his colleague, Colm Meaney’s Pat Farrell down the river. Pat doesn’t take this kindly, returning to the station tooled up with a shooter and taking hostages. Alan is called upon to act as an intermediary, and the sudden return to the limelight reactivates the barely-hidden worst aspects of his character. It’s a ludicrous setup that has no right to work as well as it does, but you won’t see us complaining about it. Fabulous character comedy, with some great/cringeworth wordplay and suitably daft situational gags. Sasha Baron Cohen’s probably better know worldwide as Borat, but he came to fame in the U.K. as Ali G, a painfully tryhard wannabe gangster, straight from the mean streets of, er, Staines. In this joyously daft outing, he blunders his way into becoming the local M.P. as part of a plan to save his local community center, becoming embroiled in a plan by deputy P.M. Charles Dance to upset P.M. Michael Gambon’s applecart that’s best not thought about too deeply. While it’s main focus is on purile jokes about knobs, dope and more knobs, somehow it’s aged much better than I’d have anticipated. I guess political backstabbing and willy jokes are a constant in life. If you’ve been affected by any of the issues discussed today, please hit us up on Twitter (@fudsonfilm), on Facebook (facebook.com/fudsonfilm), or email us at podcast@fudsonfilm.com. If you want to receive our podcast on a regular basis, please add our feed to your podcasting software of choice, or subscribe on iTunes. If you could see your way clear to leaving a review on iTunes, we’d be eternally grateful, but we won’t blame you if you don’t. We’ll be back with you in a mere ten days with some more hot film chat, but until then, take care of yourself, and each other.